I am the proud child of hard-working parents who spent their entire lives fighting for a better future for our family. I never went on fancy vacations or had the means to study abroad in college like many of my peers, but through their example, I learned how to be a fighter. Flashback to 2006: With the encouragement of my parents, I decided to move 3,000 miles from my home in Orlando after college, thus consequently put my Fighting Spirit in full effect. While receiving my education at the International Academy of Design & Technology in Orlando, Saks Fifth Avenue saw my potential and offered me a role producing and styling fashion shows for the company. While this career-defining opportunity was a massive stepping stone for me, it also presented a great deal of challenges. At only twenty years old, this decision would require me to pack up my life in Florida and move across the country – to San Diego, California. I could have been overwhelmed by the challenges this decision presented and easily continued pursuing a career as a fashion designer in Florida. Instead, I thought of my parents and the sacrifices they made to give us a better life. I decided to take the leap of faith and head to this new place completely by myself. Once I planted my feet in California, I worked hard in my new role at Saks Fifth Avenue. By the time I established myself as a full-time fashion stylist, I was ready to break more barriers and venture into the world of celebrity styling. When I first tried enlisting a male celebrity client, I was rejected because my portfolio only reflected my work in womenswear. But I did not give up. 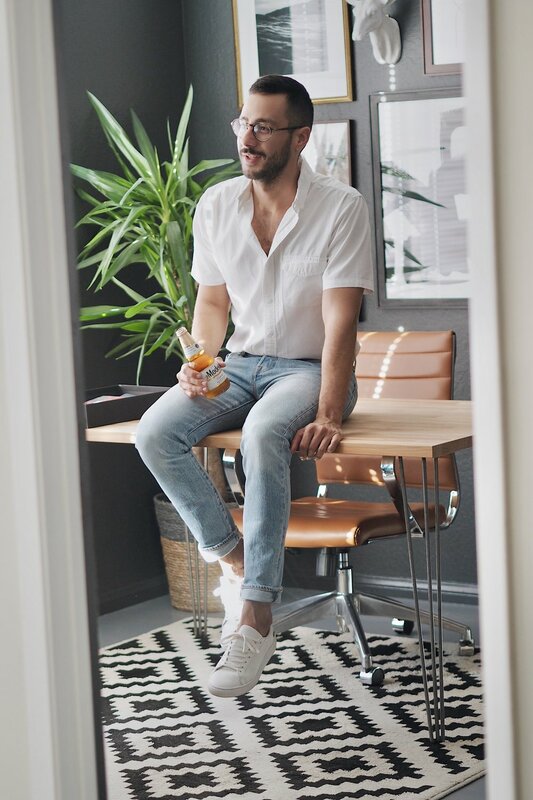 I fought for a chance to prove that I had something to contribute to the world of menswear by starting a blog to document my fashion, in hopes I could use that as a portfolio to show clients what I had to offer. From that day on, I began documenting everything I wore. Every day I would stand in front of the mirror, snap a photo of what I was wearing and upload it to the blog. I would then write about what I was wearing and why I styled it the way that I did. This served as my segway into the world of menswear. What I did not expect was that thousands of people started to follow the blog. They were not only saving my photos for inspiration but were using my styling descriptions as tips to improve their own personal style. It was then that I realized I had something truly special in front of me, and what I did with it changed everything. I looked for more ways to get this content out to people, so I expanded into social media and I wrote my first book,Style Protocol: A Style Guide Engineered for Modern Men,which went to print in 2012. Ever since, I have been dedicated to learning what it takes to be an influencer and in what ways I can use my voice and my platform to impact positive change in the online community. Overall, there truly is a responsibility that comes with having an online presence, and the ways I can use it to inspire people means the most to me – especially being an example for the Latino community. I want people to look at what I do and think “hey, I can do that too.” I want people to know my story and be inspired to step out of their comfort zone, confront their fears and use that Fighting Spirit inside them to conquer anything. 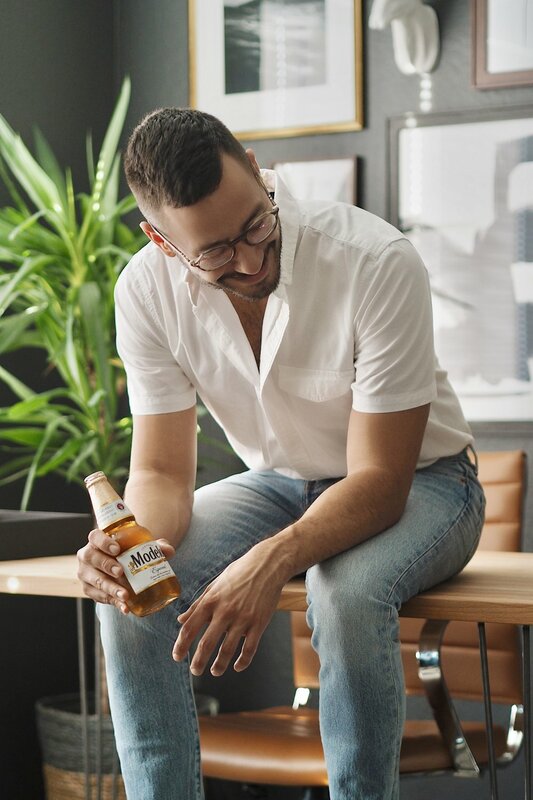 That’s why I’m so glad to have teamed up with Modelo on its latest initiative with the International Rescue Committee (IRC), which is near to my heart. 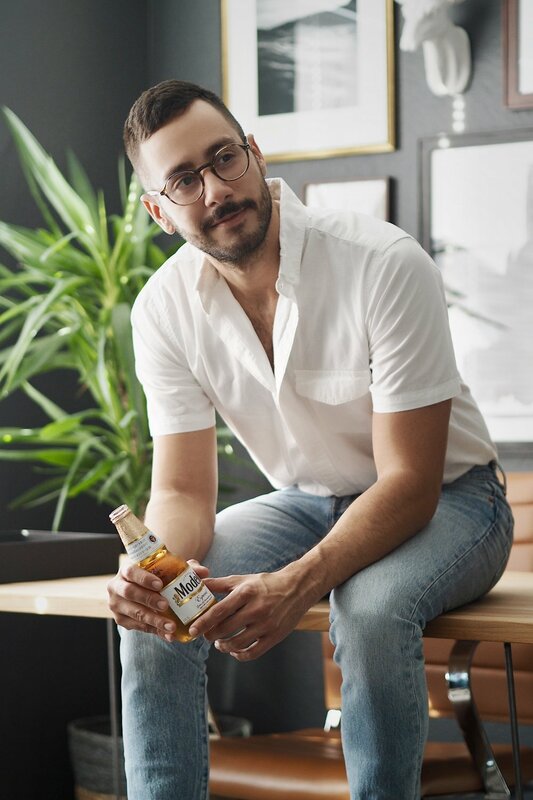 Modelo has always been the brand that honors the Fighting Spirit in all of us, but now they are enabling it through a commitment of $1 million dollars to the IRC over the next three years to help refugees, immigrants and Americans in need through financial coaching and support. You can learn more about the partnership, here. When I think of my Fighting Spirit, I don’t think about the win, I think about the fight. The will to push through any obstacle and to overcome any challenge that stands between you and your dreams. Learning from my parents about hard work has allowed me to grow professionally, but the Fighting Spirit they instilled in me is how I grow personally every single day. I share my story because I am proof that it doesn’t matter where you come from, it matters what you’re made of.